Web belts, given their name because they were originally built out of webbing, are belts without any holes to secure them in place. Now often made out of fabric, web belts slide through a buckle. The buckle uses a cinching device that holds the belt in place. The unique design of a web belt allows you to cut the belt down to your size. While most belts come in a standard design, others – usually used in the military – offer a designed buckle that is worn during special ceremonies. Loop the belt through your pants as you would any other belt. Lead with the end opposite the buckle. The belt is usually tipped with a rectangular metal piece. Flip up the cinch piece on the buckle if it has one. 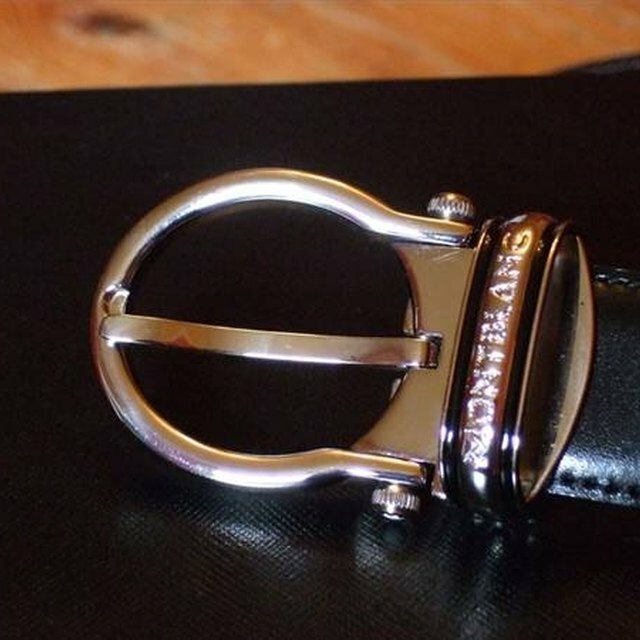 The cinch piece rests on top of the buckle and lifts up to allow the belt to slide through. Other buckles have a rod that sticks out the sides. Slide this away from the entrance of the buckle. Slide the belt through the buckle. Pull until you've tightened the belt to your liking. Flip the cinch piece down or slide the rod forward, toward the buckle's entrance. This secures the belt in place. Cut the belt down if it is too long. You'll lose the metal tip, but the belt will fit better.